He is still trying to understand how it happened. How his son went from a happy young man with a bright future to an accused murderer who claims it was an act of jihad and that he would have killed more people if could have. 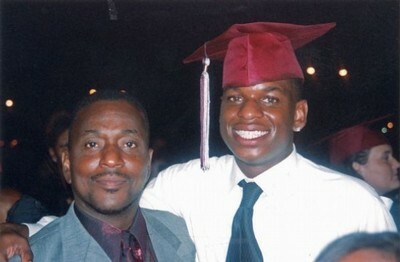 Melvin Bledsoe isn't hiding from his son's path to violence. He testified about it on Capitol Hill, drawing dismissive comments from members of Congress, including one who all but blamed him for his son's actions. In an interview with the Investigative Project on Terrorism, Bledsoe details his son's spiral into radical Islam and his family's efforts to thwart it. The Bledsoe family wasn't thrilled when their son Carlos gave up being a Baptist and converted to Islam in 2004. He changed his name to Abdulhakim Mujahid Muhammad and engaged in a series of behavioral changes. He saw his family less. He set his dog free in the woods because he believed Islam regarded dogs as unclean. He tried to remove a picture of Dr. Martin Luther King from the wall of the family home on grounds that Islam prohibits "worshipping" anyone but Allah. Then, Carlos/Abdulhakim dropped out of Tennessee State University in Nashville about a year after enrolling. He had planned to major in business and take over the family's tour business when his parents retired. His son's decision to drop out or college "was against all the things that we stood for as a modern African-American family," Bledsoe said. He had been unable to attend college because his parents couldn't afford it and he wanted to make it possible for his son to achieve his dreams. But "that picture of his dreams turned into a nightmare for us," he added. He also was troubled by the fact that, despite dozens of trips to Nashville to see his son, he was never able to meet any of the imams or other local Muslim leaders who were having such a transformative effect on his son's life. "These people would never show up or never be found when we visited Nashville," he said. Looking back, he suspects that his son's religious mentors wanted "to separate him from his family and friends." These people wanted him to regard his family as "non-believers" with the understanding "you must do everything possible to recruit your family to be converted to Islam," he said. His son unsuccessfully tried to convert members of the Bledsoe family. Bledsoe said he reacted angrily because "I didn't want anyone to take away my understanding of Jesus Christ." Things went from bad to worse when Muhammad traveled to Yemen in 2007 for the stated purpose of teaching English. Relatives tried to talk him out of it. But when that didn't work, they made him promise that he would avoid any involvement in radical activity. He agreed. Bledsoe believes his son may have planned to do that, but had no idea that in going to Yemen he was being "set up" by jihadist recruiters (he calls them "hunters") intent on radicalizing him. The hunters confiscated the video camera his family gave him, and he kept losing his cell phone, Bledsoe said. Details of his time in Yemen remain murky. He may have studied under a radical imam. In September 2008, Muhammad married one of his students in Aden. Two months later, he was arrested for overstaying his visa and carrying a fake Somali passport. Muhammad said he was carrying it because he planned to go to Somalia to fight a jihad against Jews and Americans. Bledsoe told the Investigative Project on Terrorism that he only learned his son was in jail because his Yemeni wife searched frantically through his belongings where she found the Bledsoe family's telephone number in Memphis. Over the next few months, Melvin Bledsoe embarked on an intensive lobbying campaign to win his son's release. An FBI agent from Nashville traveled to Yemen to interview his son in jail. Eventually, State Department officials persuaded Yemen's interior minister to free Abdulhakim Muhammad. In January 2009, he was released from jail and, against his wishes, deported from Yemen to the United States. During his time in a Yemeni prison, Muhammad seethed with rage at what he regarded as American and Jewish persecution of Muslims. He wanted revenge. His parents developed a plan to "Westernize" his son upon his return and draw him away from radical Islam. They planned to expand the family's travel business, Blues City Tours, to Little Rock, and put their son in charge. They would also try to help him get his Yemeni wife a visa to come to America. His son agreed, but things quickly soured. According to Bledsoe, they learned that his daughter-in-law "would probably never arrive in America" because it was virtually impossible for someone from Yemen, a hotbed of Islamic radicalism, to get a U.S. visa. That led to fight a fight which ended with Muhammad telling his wife that he was divorcing her. As the young man's marriage crumbled, he was summoned to Nashville for a meeting with the same FBI agent who had interviewed him in Yemen. Melvin Bledsoe suspects the FBI wanted to "flip" his son and get him to work for the government monitoring militant groups in the Nashville area. The family, by contrast, wanted to distance him from these very groups and integrate him into the family business in Little Rock, hundreds of miles away. In retrospect, it seems clear that neither the FBI nor the Bledsoe family realized the degree to which Muhammad had already been radicalized when he returned to the United States in January 2009. Despite his incarceration in Yemen, FBI officials have said Muhammad was not under surveillance. Muhammad lived with his parents in Memphis for three months, before moving to Little Rock in April to run the family's new tour business there. Leaving home allowed Muhammad to begin training to carry out his jihad against the United States. In Little Rock, he bought guns and ammunition, test firing them at empty construction sites. By late May, he decided it was time to strike. Muhammad drove from Memphis to what he believed was the Nashville home of an Orthodox rabbi. He threw a Molotov cocktail at the house but it failed to ignite. Muhammad then drove to an Army recruiting center in Florence, Ky. to carry out an attack, but found it closed. Frustrated, Muhammad he went back to Little Rock on June 1, 2009. He saw two men in Army fatigues standing outside a recruiting station smoking. He opened fire, killing Pvt. William Long and wounding Pvt. Quinton Ezeagwula. Muhammad was stopped and arrested by police a short distance away. He has been behind bars at the Pulaski County Detention Facility since his arrest. Muhammad said he would have killed more soldiers if they had been in the parking lot. He told Little Rock detectives that the shooting and killing of soldiers at the recruiting center was an act of jihad and not murder. He has since proclaimed himself a member of al-Qaida in the Arabian Peninsula who wanted to "carry out jihad in America" after returning to the United States. Muhammad later told U.S. investigators that he planned "to attack Jewish groups and U.S. Army recruiting centers to avenge what they're doing in Palestine or years of killing Muslims." Evidence found on his computer indicated that he scouted possible targets in the United States, including Jewish organizations, a Baptist church and a child-care center before traveling to the recruiting station and opening fire on the soldiers. After the shootings, officials from the Arkansas Division of Mental Health Services interviewed Muhammad to determine whether he understood the charges against him and was able to assist in his own defense. The interviewer found that Muhammad "did not have mental disease or mental defect." He told the examining doctor that he had planned to go to Somalia to join others who wanted to wage jihad, and that while jailed in Yemen he began planning to carry out jihad on U.S. soil. When he returned to the United States, Muhammad added, he had a great hatred for the country and the American military in particular. Bledsoe traveled to the jail twice a month to see his son. But he hasn't returned since he denounced radical Islam in testimony before the Homeland Security Committee last month. The testimony upset his son, who views any criticism of radical Islam as an attack on all Muslims, he said. "We loved our son and he loved us," Bledsoe said. But Muhammad now regards his family as "infidels," believing that they "must die in hell" if they refuse to convert to Islam. Bledsoe doesn't pull any punches in assessing the behavior of some of the lawmakers who dismissed the concerns he raised in his testimony on radicalization. U.S. Rep. Al Green (D-Tex. ), complained that King should have broadened the scope of the hearings to include violent domestic hate groups like the Ku Klux Klan. Green's comments "angered me. I came to Washington to testify on the homegrown radicalization of American citizens," Bledsoe told the IPT. "I didn't travel here to talk about the KKK, because as far as I'm concerned, their mask has been pulled off. I'm concerned right now with those people who are stealing our babies and our sons." Today, radical Islam is a "far greater threat" to American security than the Klan, Bledsoe said.